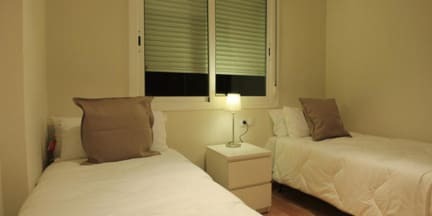 Offering free Wi-Fi, flat-screen TV and a modern kitchen, these stylish apartments are a 10-minute walk from the Sagrada Familia. Sant Pau Hospital, a UNESCO World Heritage Site, is just 1 block away. 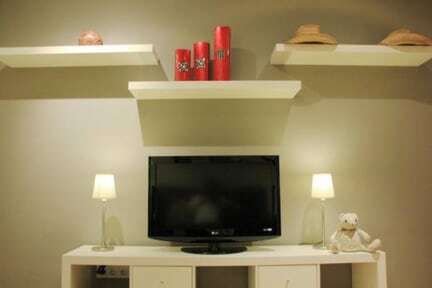 Every air-conditioned Alguera Industria apartment has 2 bedrooms, each with a private bathroom. All have a living-dining room with double sofa bed, and some have a balcony overlooking the street. You can prepare meals in your kitchen, which includes a kettle, microwave, dishwasher and washing machine. Various supermarkets, cafés and restaurants can be found within a 5-minute walk of Alguera Apartments Industria.